The holiday favorite returns to the waterfront for one-night only! Join us to watch a parade of boats decorated for the season with music, lights and lots of fun for the entire family. For the first time ever, the parade route is extended. 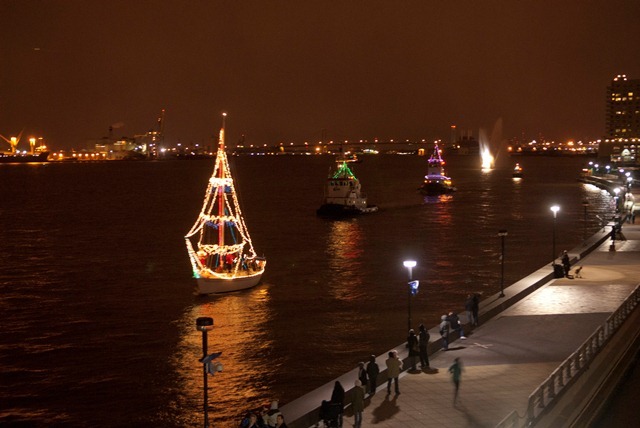 Boats will pass the Battleship New Jersey on the Camden Waterfront, then cruise by Winterfest on Penn’s Landing and loop back around to the Museum. Steve Nikazy returns as emcee and announces the winner of the parade. The actual parade begins at 5:30 p.m.